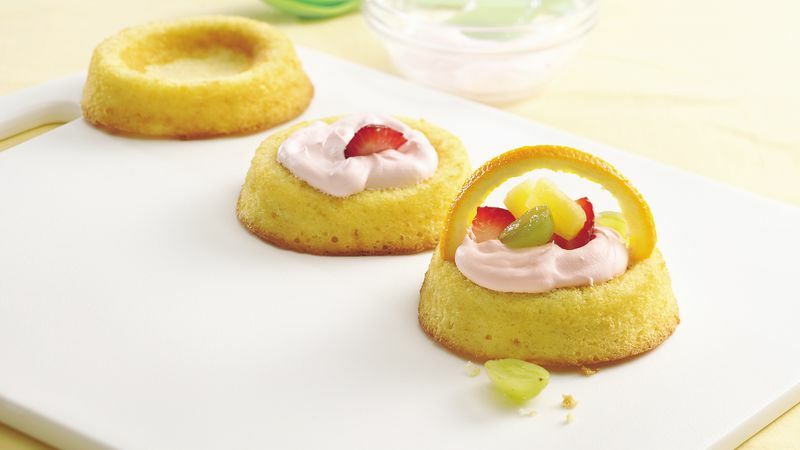 Spread 1/4 cup of the whipped topping into indentation of each shortcake cup, using spoon to make indentation in topping. In medium bowl, mix grapes, strawberries and pineapple. (Add orange sections if desired.) Spoon fruit evenly into indentations of whipped topping in cups. Place half circle of orange rind on each sponge cup to form handle. Kids can use serrated plastic knives to help cut up the fruit.